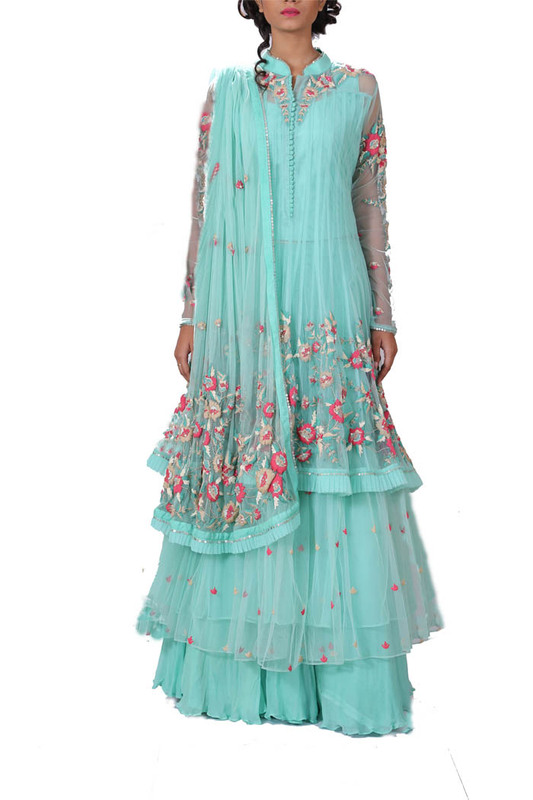 Featuring a turqoise & green, long, net, double layered jacket embellished in thread & sequins embroidery. It has full sleeves & is open on the front with buttons. 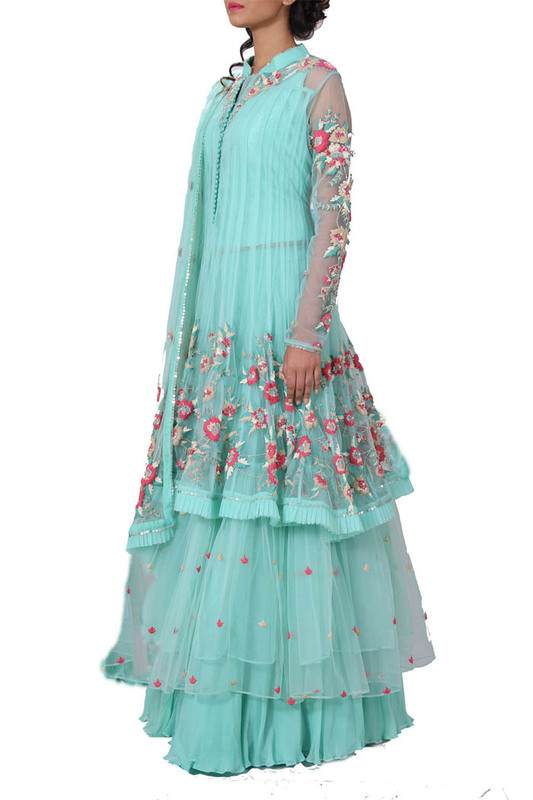 The neckline & sleeves are embellished with thread & sequins embroidery. 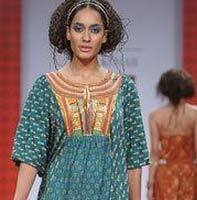 A matching embroidered dupatta compliments the garment. 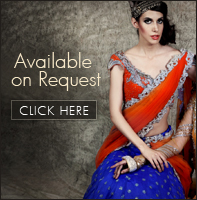 A corset is included in this set.